Interested in counterbalanced oars but not sure if you want to buy a new set? 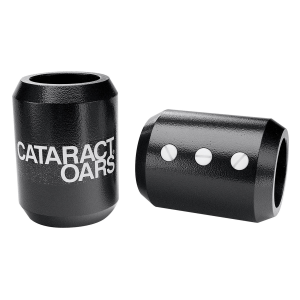 These 4lb steel sleeves slide easily over the end of 1 7/8” oar shafts and secure to the shaft anywhere you want and are completely removeable. The sleeves can be adjusted for multiple rowers, personal preference or varying conditions. For those long days on the water give yourself a break and reduce fatigue with our counterbalance sleeves.